Tomassi's proof consists of 11 steps. This answer will provide a proof based on Paul Tomassi's Logic. The problem is 1.17 in Exercise 3.9 on page 106. The description of reductio ad absurdum (RAA) is on pages 101-5. The description of vElimination (vE) is on pages 86-9. The description of &Elimiantion (&E) and &Introduction (&I) is on pages 50-2. 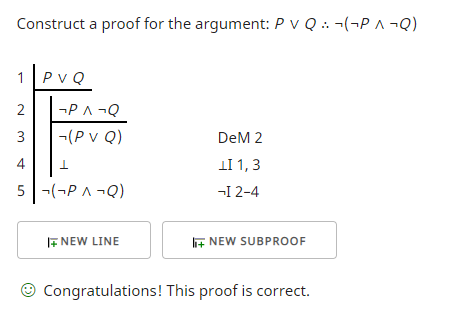 This proof used 12 rather than 11 lines. Tomassi, P. (1999). Logic (London and New York. On line 2 I assume the negation of what I want to show. This is a reductio ad absurdum argument designed to allow me to introduction a negation on 10. Although I do not see the negation introduction rule in your list this may give you an idea how to proceed. On lines 3 and 4 I used conjunction elimination and on lines 5 through 8 I set up a disjunction elimination that completed online 9. It did involve introducing a contradiction on lines 6 and 8. I did not see contradiction introduction on your list of rules, but the reductio ad absurdum suggested to me it might be acceptable. 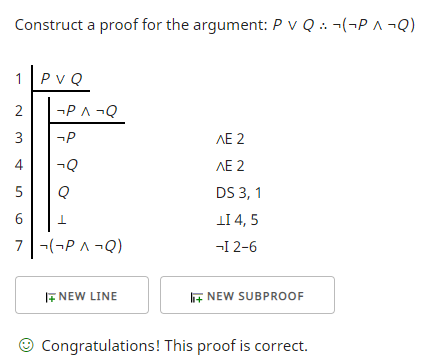 Here is a proof using disjunction syllogism (DS) a derived rule to cut short the disjunction elimination. This is not on your list. I provide it just to give another perspective on how this might be proven. Finally, here is a shorter proof (at least in the proof checker I am using) that uses the De Morgan Rule (DeM). That is not on the list of permitted rules, but I offer it as another perspective on the problem when that derived rule becomes available. There are two differences. 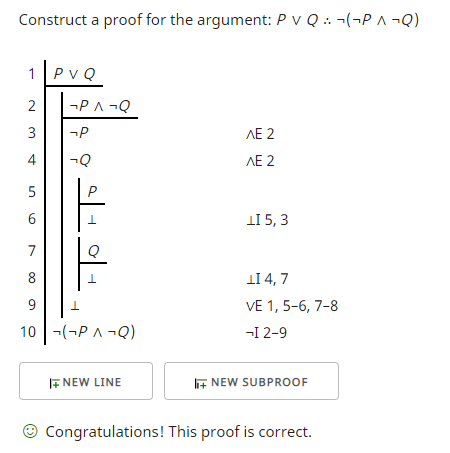 For line 6 in the OP's proof I needed three lines, my 6, 7 and 8. 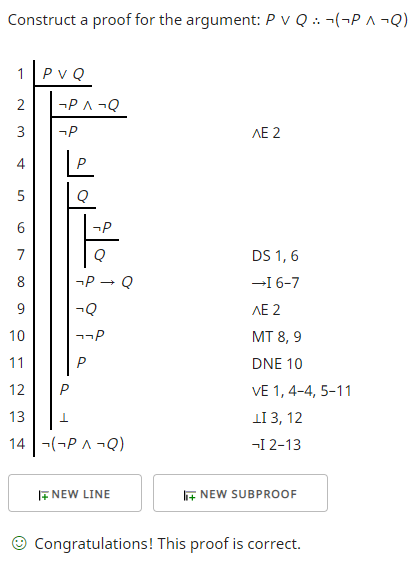 For line 11 to reach the contraction, I needed to use a contradiction introduction (⊥I) in my line 13. Otherwise the proofs are similar.